What is best: corded or cordless tools? It’s a debate that has been going on since cordless power tools first hit the scene. Each side has its own reasons for preferring one over the other. Of all the features they offer, which are the most important? Is range of motion more important than reliability? Are the best cordless tools still inferior because they need a charged battery to operate? Are corded tools less reliable because of the wear and tear that cords endure? What are the real differences between the two? Almost every power tool on the market these days comes with a lithium ion battery. These batteries are capable of holding a lot of power that doesn’t diminish over time if the tool is not in use. They are made to be lightweight, helping to reduce worker fatigue. Your battery should also be interchangeable with your other power tools— a convenience for when you might need it. Since it has no cord and you don’t have to rely on a secondary power source, cordless tools offer greater flexibility and portability. When working on several projects or in tight spaces, cordless tools allow you to maneuver and move about freely without the hazard of tripping or tangling a cord. This portability is a clear advantage for any mobile business or contractors that need to move about frequently on jobsites. In addition to their portability, cordless power tools are typically easier to store than corded ones. Things like cordless drills, saws and impact drivers can be placed in drawers, on shelves and typically come with individual storage containers to house the tool and its accompanying batteries. Even the best battery is going to run out of power at some point. This means setting your tools down while your batteries recharge and potentially losing valuable work time. Because you and your workers are human, it’s also possible (even probable) that someone will forget to charge a battery after his or her shift or lose a battery altogether. Cordless power tool performance also starts to suffer as the power gets drained. That means your tools aren’t going to offer the same heft at the end of your shift (or day, or week, depending on how much you use it) as they did at the beginning. With the convenience of an attached battery, comes extra weight and bulk. While most lithium ion batteries are lightweight, the weight does depend on the tool and the voltage to power larger devices. With more power comes more weight, with an 18V power drill weighing upwards of 10lbs. 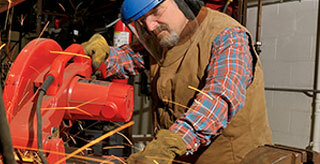 Holding cordless tools all day can cause strain and fatigue, though they offer the mobility you need. 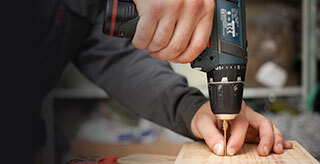 With their frequent use and variety of use cases, drills are great cordless tools. Similarly, the handheld nature of impact drivers and impact wrenches makes cordless the perfect option for these mobile-friendly tools. The best thing about corded power tools is that they are hooked up to a continuous power supply, so they never run out of power. Their performance will not suffer as a cordless tool will once the battery starts getting drained. Corded power tools will almost always be able to offer greater torque than a cordless tool performing the same function. This means that some tools that require a high amount of torque may not be available in a cordless option, or will not be sufficient for the job. You know that job site that was supposed to be wired last Thursday? It’s still not wired, and you have no electrical to hook your tools up to. You could lug a generator to the site, but that is bulky, inconvenient and an extra expense. And if you are working on someone else’s site, as many contractors do, you have to rely on their power to do your job. The cord can also restrict your mobility, as it keeps you tethered to the wall—even if you are using an extension cord. Power cords also create a tripping hazard that you wouldn’t otherwise have. Additionally, with power saws and routers, cords need to be kept out of the blade line as they can potentially be cut, rendering the tool useless. Because of the cord, corded tools can be a challenge to store, and many contractors and managers have to get creative in how they store and keep corded tools from being damaged. Wide shelves, fasteners and deep storage bins are all options to store corded power tools to ensure cords remain intact. 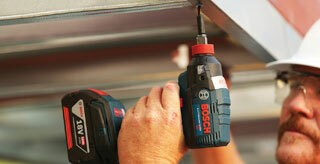 The biggest advantage of corded power tools is their continuous power and torque to get the job done. When you need to cut through dense materials, corded tools like circular saws, jig saws and reciprocating saws need the benefit of consistent power. That really depends on what you’re doing. While corded power tools offer the most in the way of reliability and sustained power, they are no match to cordless tools when it comes to maneuverability and convenience. The best cordless tools will last a long time before their power starts to fade. However, until they can provide the same power-every-time-no-matter-what reliability that a corded tool will always have, the debate will rage on.